Sunday Morning Cinema is the new album from singer/songwriter and multi –instrumentalist Dan Parsons, whose highly regarded talents have seen him in high demand for some fine artists including Marlon Williams, Kate Miller-Heidke, Ella Hooper and Tracy McNeil & The GoodLife. Recorded live and straight to tape in 3 days Sunday Morning Cinema is the very welcome follow up to 2015’s Valleywood (nominated for Best Folk Roots Album in The Age Music Victoria Awards 2016) and is scheduled for release August 10, 2018 through MGM. Here Goes Nothin, the first single from the album was released late last year and held the #1 spot on AMRAP’s AIRIT regional chart for two weeks. As a singer/songwriter Parsons conjures up the essence of troubadour folk-rock and classic Americana influences, exploring the triumphs and anxieties of the human experience. With his newly formed live band – Rodeo Pony, featuring Robin Waters (Ella Hooper, The Boat People) on keys, Alex O’Gorman (Big Smoke, Angie McMahon) on bass and Bree Hartley (Tracy McNeil & The GoodLife) on drums, Parson’s new album rides through canyons, weaves across silver oceans and launches into the interstellar. For Parsons, Sunday Morning Cinema ventures into new territory both musically and in its process. Working up the songs with his band prior to entering the studio allowed for an organic and authentic experience. With engineer Fraser Montgomery at the helm, the result is a collection of nine songs, all fully realised and captured in widescreen technicolour. To celebrate the album’s release, Parson’s will perform Sunday Morning Cinema in its entirety at the Northcote Social Club on Sunday, September 2nd, with special guests indie chamber-folk sensations Charm of Finches in addition to a small run of East Coast dates, with more dates expected later in the year. 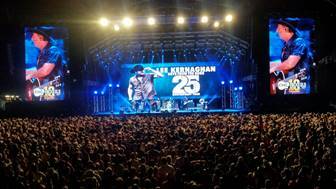 It might have been 25 years since country music legend Lee Kernaghan launched his seminal album Outback Club, but there is no slowing down for the boy from the bush. Lee is revving up for a busy couple of months as he continues his 25th Anniversary Tour, aptly titled Boys From The Bush. For fans of his music, it is no surprise that Lee Kernaghan just keeps getting better and better. He is always working on new material, tours rigorously and puts an incredible amount of energy into each show. Getting out on the road is what Lee loves best and expanding the Boys From The Bush tour into 2018 is a win-win for Lee and fans alike. “I’m incredibly excited to be taking the 25th Anniversary Tour into another year to make sure we get to celebrate with as many fans as possible,” he says. At the end of the tour, the demand was clear – the tour needed to be extended, reaching out to areas that missed out in 2017. When Lee announced the Boys From The Bush tour was rolling into 2018, tickets immediately started to fly out the door, and many of the shows announced are already close to selling out. Tickets to the Boys From the Bush – 25th Anniversary Tour 2018 dates are on sale now. Wolfe Brothers to celebrate album Aria chart debut! Tasmania’s The Wolfe Brothers have debuted at #9 on this week’s ARIA Chart with their new album – their fourth – Country Heart. This is the band’s highest ARIA chart entry position to date beating their last album, This Crazy Life, which came in at #10 on release in June 2016. This is a great effort when you consider Ed Sheeran holds three of the eight spots before them. All four of The Wolfe Brothers albums have entered the ARIA chart in the Top 20. The last two albums, Nothin’ But Trouble and This Crazy Life, and this new release Country Heart, have all debuted on the ARIA Country Chart at #2. The band penned the album on a songwriting trip to Nashville last year where they collaborated with a number of different writers, with the objective to create a different sound and deliver songs that would hopefully take the band to the next level. 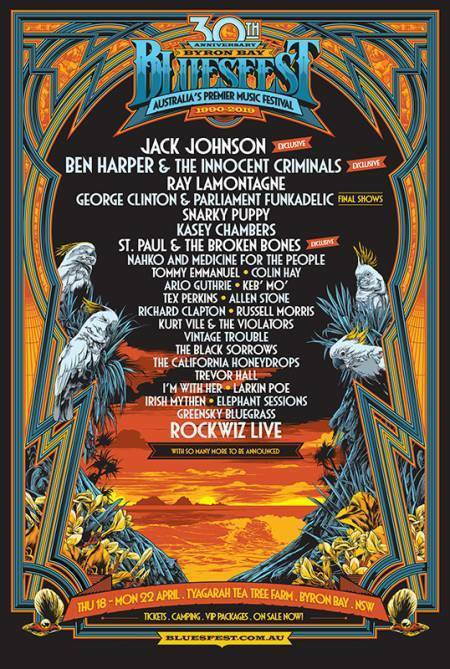 Tix via www.oztix.com.au or at the Longley. 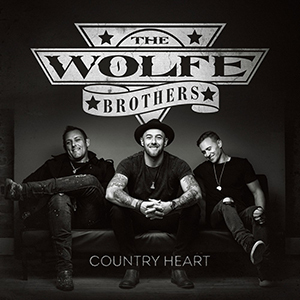 The Wolfe Brothers Country Heart National Tour will be announced in coming weeks. The band’s fourth studio album, Country Heart, is out now via ABC Music.